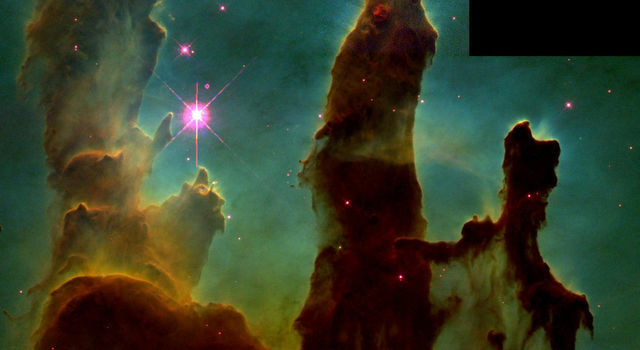 The camera that saved Hubble was actually not the camera that originally launched with the space telescope in 1990. 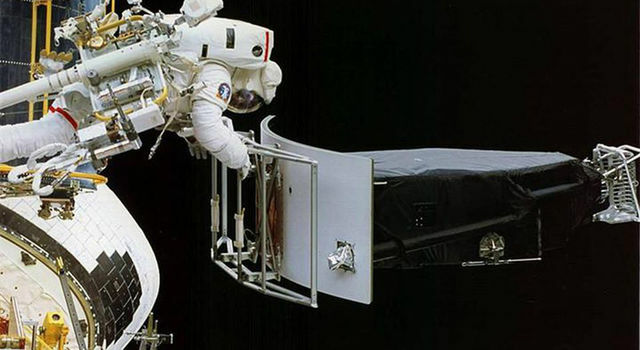 The original Wide Field and Planetary Camera was not able to focus correctly due to a tiny error in the curvature of Hubble's main mirror, so in December 1993 astronauts replaced the camera with a second-generation version, WFPC2. In May 2009, astronauts installed a more advanced Imaging system on Hubble and brought WFPC2 back to Earth, where it is on display at the Smithsonian Air and Space Museum in Washington. Twenty-five years ago this week, the Wide Field and Planetary Camera 2 (WFPC2) was installed on the Hubble Space Telescope to correct a devastating error in the telescope's primary mirror. This week marks the 25th anniversary of the launch of NASA's Hubble Space Telescope, and JPL is celebrating its significant role in the historic mission. 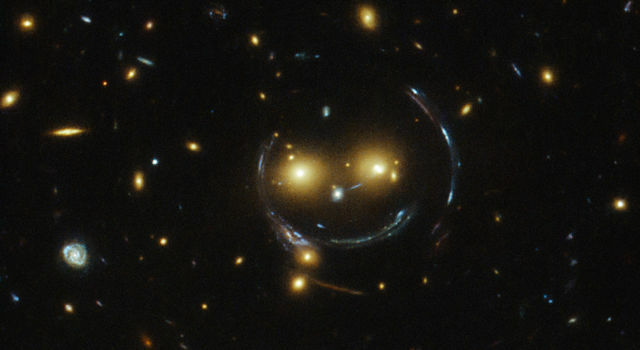 An upbeat-looking galaxy cluster appears to smile at us in a newly released image from the NASA/ESA Hubble Space Telescope.